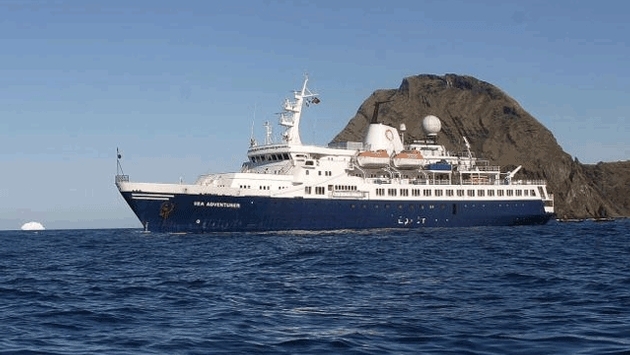 Zegrahm Expeditions, the world leader in small-ship cruising and overland adventures, is pleased to announce two unique expeditions to South America in 2015. Both aboard the 110-guest Sea Adventurer—an ocean-going vessel that navigates easily in the most rugged natural environments—travelers can cruise over 2,000 miles of Brazil’s wild coastline on Coastal Brazil, or explore five diverse countries on one South American voyage. Coastal Brazil with Buenos Aires & Montevideo, March 11 - 29, 2015, is a 19-day journey that combines the best of Brazil’s coastline, as well as Buenos Aires, Montevideo, and Rio de Janeiro. A first for Zegrahm, this expedition offers a variety of daily activities—from hiking endangered forests and snorkeling over coral reefs, to admiring historic architecture. Plus, travelers will search for a number of endemic species in the Atlantic Forest of Parque Nacional de Superagui. Priced from $9,980 per person. Departing April 2, 2015, the 16-day South American Mosaic explores five countries: Brazil, French Guiana, Suriname, Guyana, and Trinidad & Tobago. Travelers will search for abundant wildlife—including 30 species of monkeys, pink Amazon river dolphins, red-and-green macaws, and 1,800 species of butterflies—and visit riverside villages to meet with the inhabitants of the Amazon, Suriname, and Essequibo rivers. They’ll also take a chartered flight into the heartland of Guyana to view Kaieteur Falls, almost five times the height of Niagara. Priced from $10,980 per person. On each of these voyages, travelers will be joined by an exceptional expedition team of naturalists, ornithologists, and marine biologists, along with Expedition Leader, Mike Moore.